Emporium Hotel South Bank is set to reveal its spectacular series of innovative, new event spaces, which will position the luxury boutique hotel as a meetings, incentives, conferences and exhibitions (MICE) destination of choice. Developed by the Anthony John Group, Emporium Hotel South Bank is located on Grey Street in Brisbane within the premium AUD$600 million Southpoint precinct and will open its doors for the first time in August 2018. Three state-of-the-art boardrooms, the Wattle, Orchid and Jacaranda Rooms, offer the option of 12, 14 and 20 capacity respectively, and come complete with wireless presentation systems, video conferencing, interactive whiteboards and digital entertainment. A dedicated on-site events team will also be on hand to assist with all aspects of any meeting or event, from planning right through to execution. For larger functions and events, the spectacular, pillarless Frangipani Ballroom is a truly unique 410sqm space with a cocktail capacity of 400 and a banquet capacity of 260, including the option to be configured in various formats. Operable walls allow for smaller configurations of anywhere between 150 and 300 for cocktail events, and from 80 to 170 for banquet events. Features of the Frangipani Ballroom include mirrored walls; a 4.3-metre ceiling; bespoke ceiling tiles that incorporate a state of the art lighting system that enables custom light mapping; four large projector screens; and the latest in digital entertainment and audio-visual equipment. In addition to the impeccable corporate events options, Emporium Hotel South Bank offers an array of food and beverage outlets which are distinct in design, colour and finish. Each one offers visually captivating, opulent spaces to enjoy the cuisine created by Executive Chef Josue Lopez. Josue leads a skilled team in creating the menus and flavour proposition for Opal, the hotel’s stunning signature restaurant; The Terrace, located on the rooftop level; Piano Bar, an elegant cocktail bar; Belle Époque, a bespoke French-style patisserie and brasserie; plus in-suite dining and the conferencing and event menus. Emporium Hotel South Bank is situated in Brisbane’s premier cultural and lifestyle precinct and is just a few minutes’ walks to the CBD, the Queensland Art Gallery/Gallery of Modern Art, Queensland Performing Arts Complex and the Brisbane Convention and Exhibition Centre. ICC Sydney takes home Qantas award for second year in a row! 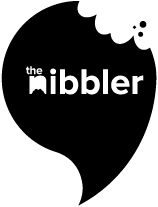 At the Nibbler, there’s nothing we love more than a rooftop bar. Except maybe chocolate and a good midday nap. We’re shattering norms today by living our Wednesday like it was a Friday. Sadly, our boss saw through our rouse and will not be giving us the rest of the week off. Take a look at Perth’s swanky new MICE hotel offering! Have a scroll through these pretty pictures to get you through your Wednesday-itis.